If you think basketball recruiting has been busy so far, buckle up. Today is day one of the final signing period for college basketball’s 2019 class, when the recruits who remain unsigned have until May 15th to do so. Oklahoma State sits with three available scholarships meaning the next month is going to be a busy one for the coaching staff. While Coach Boynton and his staff could hang onto one or even two of those scholarships for a later date, from all we’ve seen and heard, they plan to use all three. So, with all that in mind, let’s go over what OSU fans need to keep an eye on for the next 29 days. We’ll start with the most obvious one and OSU’s “must have” guy of this signing period; four-star shooting guard Chris Harris Jr. out of Garland, Texas. Chris announced his top-3 last week which included OSU, Texas Tech, and the school he was formally signed with, Texas A&M. At this point, OSU is considered the favorite to land him. Every new prediction on 247Sports is for OSU including the vote of Director of Basketball Recruiting ,Evan Daniels, who has an all-time 93.7% accuracy with his predictions. Same thing on Rivals where the latest picks are going OSU’s way, including those from National Basketball Analysts Eric Bossi (95.1% accuracy) and Corey Evans (89% accuracy). Harris made an official visit to Stillwater a few weeks back that apparently went well. He was reportedly set to visit Texas Tech this past weekend, but there have been some mixed reports as to whether or not he took the trip and whether or not he plans to in the future. This one feels like OSU’s to lose, and while I’m feeling better and better about OSU’s chances, I won’t assume anything until it’s official. The other guys I feel good about is JUCO transfer power forward Doudou Gueye. The Daytona State college big man was already a focus for OSU, but with Duncan Demuth’s decision to transfer, the need to find an experienced replacement puts Gueye almost neck-and-neck with Harris as far as importance. The biggest reason I feel confident that Gueye commits to OSU is this; before new assistant coach Erik Pastrana was at Florida Atlantic, he was the head coach at Daytona State College and was the one that recruited Gueye to the school. It was less than two weeks ago that Mike Boynton and Co. offered the under-the-radar power forward from Mills University High School in Little Rock, Arkansas. No 247 or Rivals pages, though MaxPreps has him marked as the third best prospect in the state. He’s also got offers from Southern Miss and Illinois. There’s a real possibility to that this offer was made as a back-up in case Boynton and Co. couldn’t land Gueye, but I like the kid. He’s got a good shot, handles the ball well, and his junior stats — senior stats not available — were really solid. Also, he fits something we’re going to talk about here in a bit — the need to bring in a developmental guy. Someone who isn’t going to be expected to make a major contribution right out of the gate, but will be with the program for at least four years and can develop into something really good. To be honest, I can find any updates as far as to where the power forward from The Colony, Texas might be leaning. OSU offered back in 2017, but I can’t tell if the two sides are still in communication. He also has offers from Austin Peay, Cal State Northridge, Depaul, Western Michigan, North Texas, New Orleans, and Hartford. At this point it seems more likely Okpoh at one of Austin Peay, New Orleans, or Hartford as he has already visited the first two and plans to visit the third. My guess is OSU is off of him, but if the other options fail, Okpoh is a nice fallback to keep an eye on. As we mentioned, it seems that Coach Boynton plans to use all three scholarships during this signing period. That said, with so many new guys coming in this year, it would benefit the program to bring in someone who won’t make an impact this season; whether that’s a high school prospect like Cross, or more preferably, a transfer. A couple of reasons; first, when Oklahoma State tips off the 2020-21 season, the only uperclassmen on the roster will be then juniors Isaac Likekele and Yor Anei. Everyone else will be freshmen and sophomores. Sure, I’d expect Boynton to add a graduate transfer in the 2020 class, but it would be incredibly beneficial to have added a guy in the 2019 class who sat out a season, but adjusted to the team, the style of play, and was ready to contribute out of the gate the season after OSU loses seniors Cam McGriff, Lindy Waters, Thomas Dziagwa, and Curtis Jones. 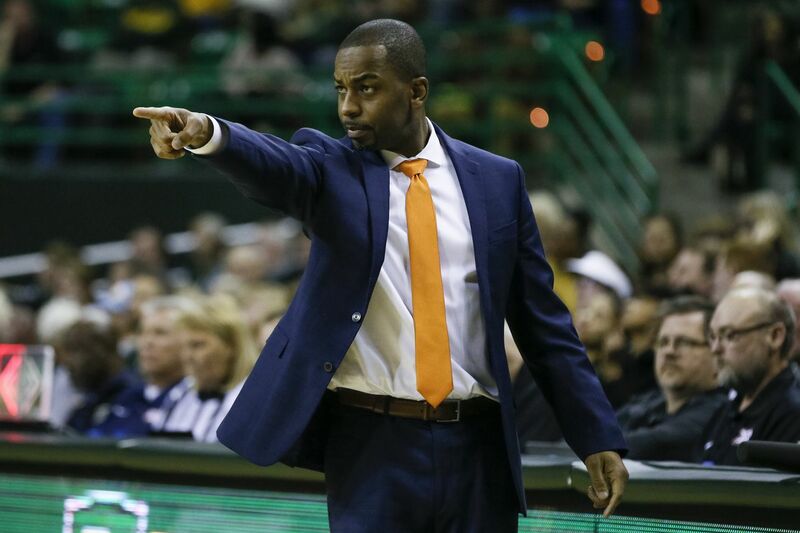 Oklahoma State has reportedly reached out to a number of transfers — including Darius McNeill who just committed to SMU, Little Rock wing Rayjon Tucjer, and North Florida forward Noah Horchler — but so far we haven’t hear too much. However it’s still early in the process and kids are continuing to announce their decisions to transfer. It will be something to keep an eye on moving forward.